As we enter 2012 I and I observe posts and status updates on Facebook, the heightening evolutionary processes of the human spirit said to be taking place at the level of conciousness as we enter this time and age of perception are evident. 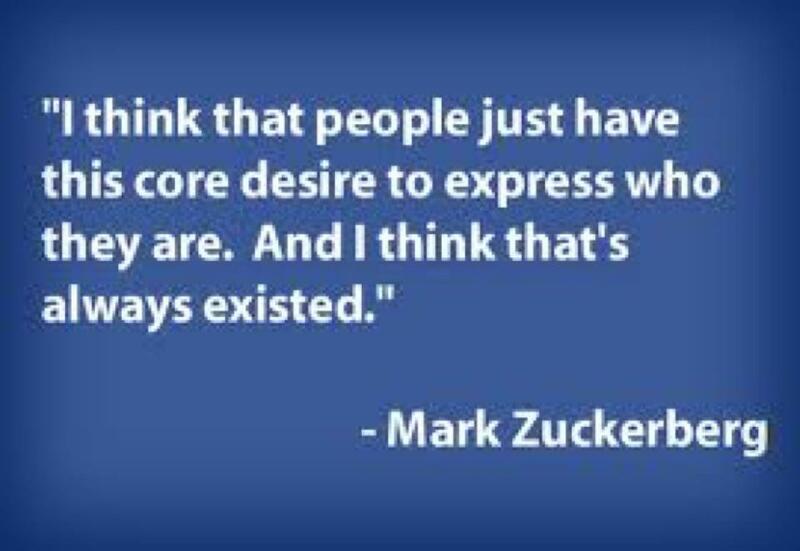 We are all artists, many have forgotten that aspect of themselves but Facebook allows and even encourages people to express themselves by very way of the little box with “what is on your mind” casually imprinted on it, enticing you to get something out of your system. The combination of a computer, an internet connection, computer program know how, a creative soul and social networking sites such as Facebook can allow a person to create a deep and personal identity online if they so choose, which can be very cathartic and healing. It can be a space where expression can take place, where possibly otherwise in life it cannot, but in the act of release at just this virtual level alone, benefits can still be felt. In sharing our feelings with one another we connect, we find understanding, we find we are not alone and we find friends. The choice of creative digital media outlets that a person can learn to use through a computer is huge. A person can write and get into blogging and extend their creative writing, they can connect other hobbies such as photography, learn to design graphics, capture video’s and produce short or even full length films or documentaries, compose, record and produce music, master it to a final product, publish and distribute it to the world. It is quite phenomenal how endless the possibilities are for creative individuals to use these tools to be artists in a digital world and express themselves. It is just that now we have these technologies to do so. With this access and skills we can create a platform, a space, that is ours where we can post things that we wish to share. In that expressive process we are saying something about who we are or want to be, we are reminding ourselves of things we aspire to be almost as a mantra to our inner selves, we are healing on the inside by putting stuff outside of ourselves in cathartic expression of it. We have all heard the phrase “better out than in” when it comes to bottled up emotions and feelings, likewise, “a problem shared is a problem halved”, perhaps sites like Facebook offer us an opportunity to do that? This entry was posted on January 18, 2012, 12:59 pm and is filed under Vital Ponderings. You can follow any responses to this entry through RSS 2.0. You can leave a response, or trackback from your own site.